For all of those that participated in the Downtown River Run yesterday, congratulations! I hope everyone had a good run. It seemed like it was a perfect morning for the event and I’m sure it was up to the normal excellence of organization. If you completed your very first marathon or half marathon at this year’s event, I believe an even bigger congratulation is in order as it definitely isn’t easy to accomplish such a distance. In fact, getting to the distance of a half marathon or marathon is definitely a challenge. It can also be a little daunting to transition from a run such as a 5k (3.1 miles) or 10k (6.2 miles) to that of a half marathon (13.1 miles), as it is double or even triple the distance. Building up to that kind of distance takes a lot of work and if you’re just diving into 13.1 miles in a race-event style format off the bat, sometimes it can be a little nerve racking. Luckily, for all those in the Reno-Tahoe area, Race178 hosts the Reno 10 Miler and Relay. It is “just beyond a 10k, but not quite as far as a half marathon” which gives runners the perfect race event distance to be comfortable when building up towards a half marathon or jumping from a 5k or 10k. It takes place on August 16, 2015, which is perfect because there aren’t usually a lot of events to select from between the Spring and Fall season events. Even better… it’s not just an individual event, but also has a relay component for anyone still wanting to run a shorter distance with friends or family. 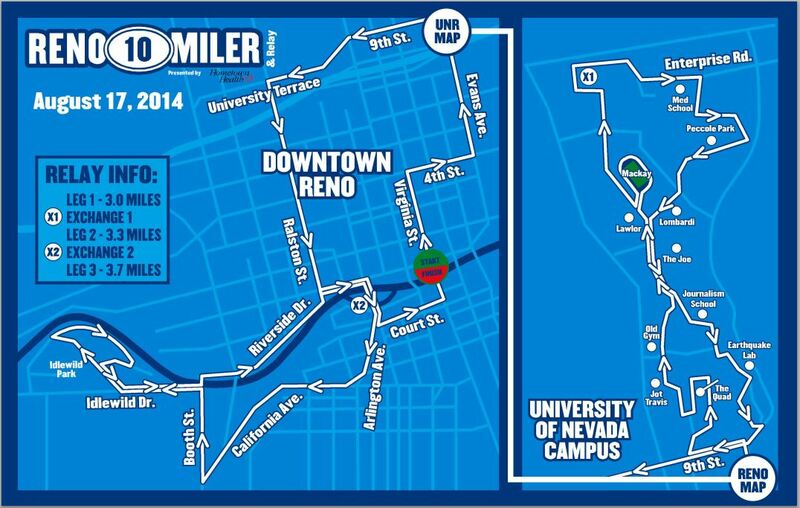 The course is strategically mapped to showcase both Downtown Reno and the University of Nevada, Reno campus. 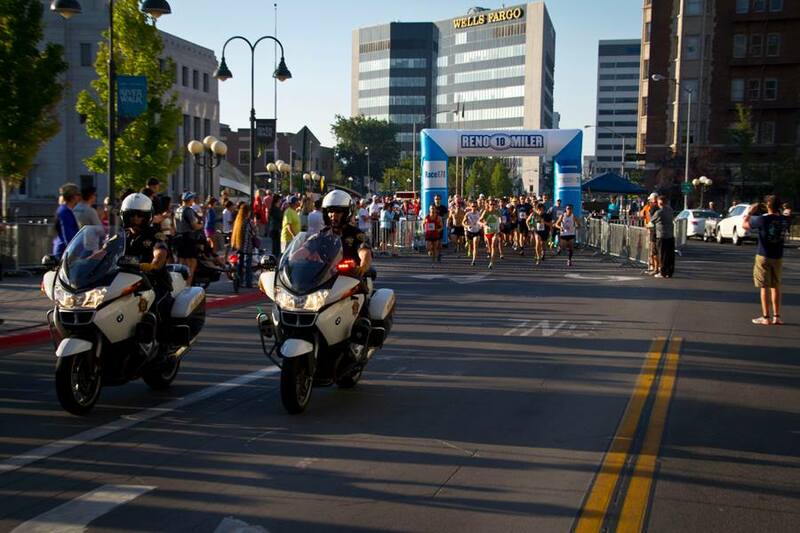 The race start and finish is located at the Virginia Street Bridge above the Truckee River in downtown Reno and heads north towards the UNR campus. Much of the run incorporates landmarks on the campus such as the Quad, Lawlor Events Center, Mackay Stadium, and many others, as it loops through the University providing a very scenic first 5 miles or so. 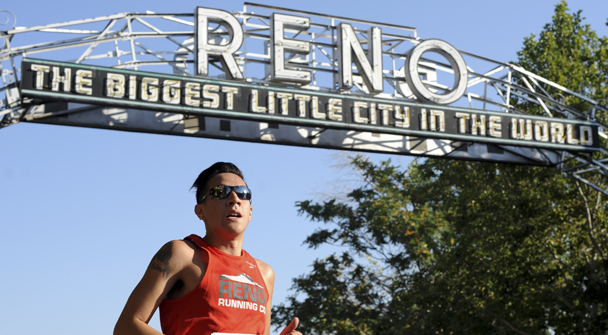 The course then head back towards downtown and the Truckee River giving runners the opportunity to see Wingfield Park, Reno High School, Idlewild Park, and the Reno Court House. The relay for the event has 3 different legs and runners can be in teams of 3 or less. The first year I ran the race I participated in the relay event. I really enjoyed it as it turned out to be about the distance of a 5k for each person and, as a result, turned it into a fairly fast course so it was exciting to see my teammate sprinting towards the exchange. The only downside to the relay was that I only saw the portion of the course for my leg and didn’t get a chance to run through the UNR campus at all. I did run it last year as an individual runner though and it was nice to get a chance to see the entire course. The relay is really cool though if you still want a shorter distance and enjoy the team events. Registration is open for this event but prices do go up after June 30th. I encourage everyone to give it a try, as it is pretty exciting to run through both downtown Reno and the UNR campus.